Going off to college may mean having to cope with the absence of home-cooked meals, but that doesn’t mean you have to follow the typical diet of junk food for breakfast, lunch and dinner. Build up healthy habits while you’re away and fend off the clichéd freshman 15 with these five healthy spots located right here in Berkeley. Who says you have to load up on greasy foods to fill up your stomach? 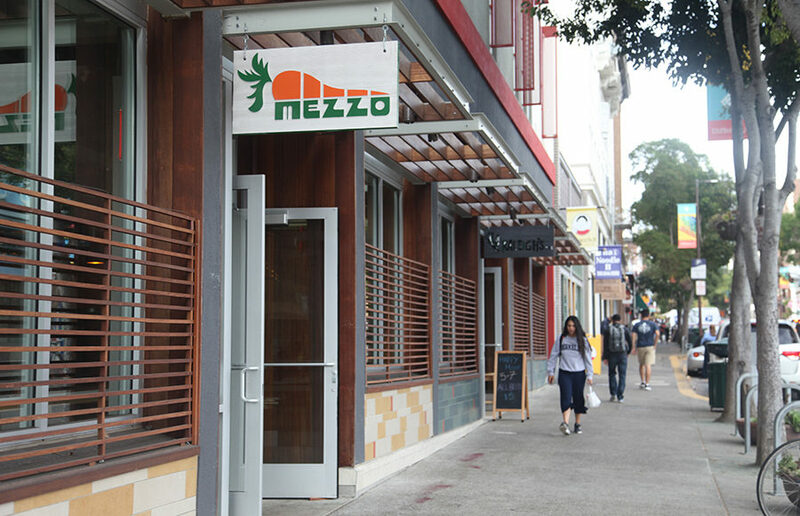 Mezzo serves up generous portions of its popular sandwiches and salads made with only the freshest ingredients, which will have you simultaneously feeling fit and full. Plus, the complimentary slice of pineapple or watermelon is a refreshing way to end your meal. If you’re a smoothie lover but feel limited by the lack of options in Berkeley, you’re in luck! Earthbar makes a variety of nutrient-dense smoothie combinations for you to feel good about as well as cold-pressed juices and its take on the classic açai bowl. Next time you find yourself waiting in line for boba, switch things up and opt for one of Earthbar’s nourishing drinks, instead. Head to Sweetgreen, conveniently located Downtown, for one of its delicious salads made with fresh ingredients that come from locally sourced farms across the West Coast. There are tons of seasonal options and the choice to make your very own creation. Taste the freshness at Organic Greens, where the dishes are made with seasonal, organic produce that’ll have you shockingly giving up McDonald’s hamburgers for salads. Additionally, there is a vast selection of drinks, ranging from juices to give you a morning boost to flu shots (not actual shots) that’ll protect you from whatever your roommate has. New to Berkeley, Rush Bowls is the açai bowl heaven you’ve been waiting for. Originally started in Colorado, Rush Bowls only provides the finest ingredients for your bowls. You’ll never run out of options to try here, as it’s got everything from the signature açai bowl to apple pie and peach cobbler renditions. No one ever said adulting was easy, but Berkeley’s extensive selection of fresh eateries close to campus makes the challenge of eating healthy so much easier. Milk tea boba is hard to replace, but swapping one of your daily trips for a cold-pressed juice will have you feeling energized as we head into finals season.